had an Okinawan experience I’ll never forget. The northern region of Okinawa Island is referred to as Yanbaru, with two kanji characters meaning “mountains” and “fields”. True to its name, the area is covered in rich greenery, with streams and springs flowing through the untouched subtropical forests that are full of many unique and precious wildlife. The Yanbaru region has numerous tourist destinations, such as resort hotels, the world-famous Churaumi Aquarium, and quaint little villages. The area also attracts many visitors to take part in the guided walks on the nature trails, as well as birdwatching and canoe tours at places like the mountain of Yonahadake and the Gesashi River, the tallest peak and the largest mangrove, respectively, on Okinawa Island. From organic vegetables, fruits, spices, honey, seafood, and stock farm products, the gifts of nature from Yanbaru are sure to fulfill your mind and body. 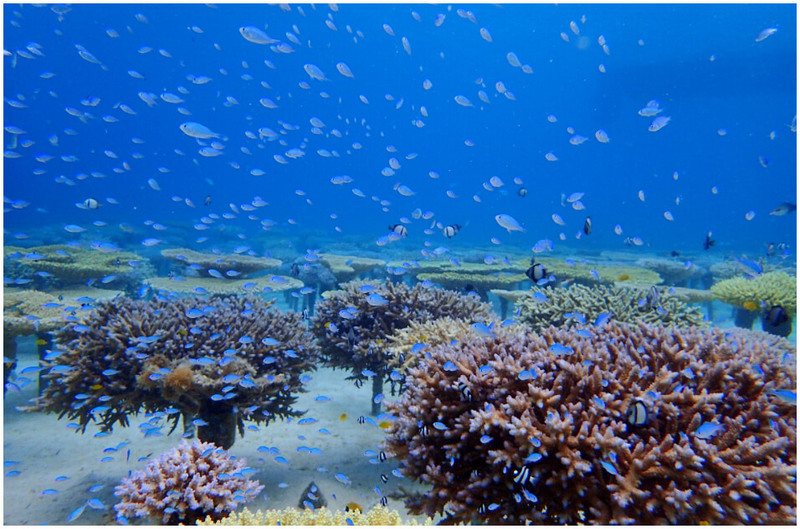 Okinawa is surrounded by coral reefs and the soil is rich with minerals and vitamins due to the mixture of limestone. The strong UV rays heighten the antioxidative potency, making vegetables produced in Okinawa very healthy and considered as ‘super foods’. In Ogimi, a village deep in the Yanbaru region and known for the longevity of its residents, grandmothers over the age of 90 live in their old Okinawan-style homes and lead simple, yet healthy lives working hard on their fields during the day. When “The Okinawa Program”, a book explaining the longevity of Okinawans was introduced, the world’s attention was drawn to the healthy local centenarians and their diets. Researchers from around the world continue to come to Okinawa in search of the secrets to longevity. It is said, like the long-living people who reside in the ‘Blue Zones’ around the world, many of the Okinawans who enjoy a long lifespan, eat healthy. Their diets consist mainly of vegetables, and they enjoy an active lifestyle that is stress-free and also very full of purpose and motivation. In the far northern area of the Yanbaru region, the land is bursting with nature. There are no convenience stores or other common sights we see in the city. At night, the moon and stars take center stage, accompanied by the sounds of nature of the forests and seas. The lush green subtropical forests, the crystal-clear, emerald-blue waters, and the warm and genuine people of the area welcome the visitors here. On this occasion, Christal was joined by local Yanbaru experts for a very special experience in harvesting various products and enjoying a delightful picnic. The activities for the day are planned by the experts, inspired by their love and knowledge for this region. 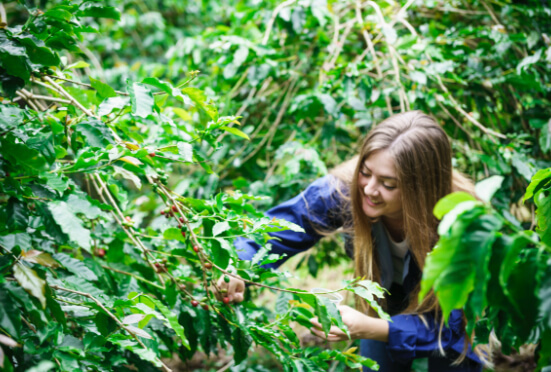 Christal was guided to a coffee farm with the sounds of the breeze that flowed between the branches and the chirping of birds as the day’s soundtrack. At the coffee farm in the forest, the ferns were growing alongside the coffee plants which had numerous berries on their branches that contained coffee beans. 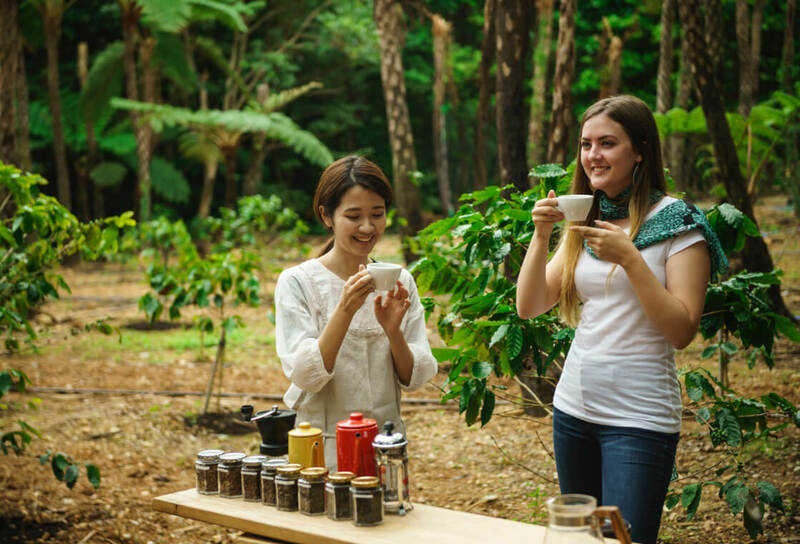 Okinawa’s coffee harvest begins in December, and on that day, Christal harvested coffee beans as well as honey from beehives placed in the Yanbaru forest by beekeepers. 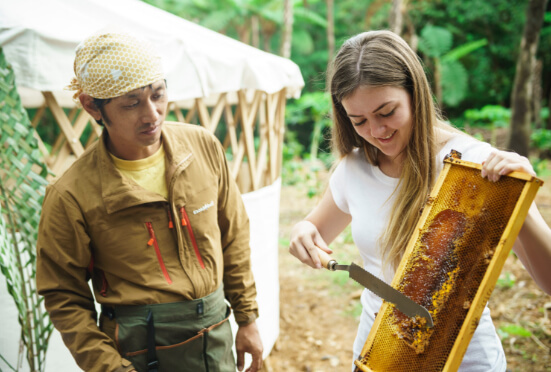 Guided by experts in each field, the harvesting of coffee beans and honey, and the drying and roasting of the coffee beans were great fun to experience. It was rejuvenating to breathe the fresh air and feel the natural energy of the forests cleanse our spirits. By the time the harvesting and other steps were done, the picnic table was ready and full of colorful, inviting dishes that were prepared with fresh local ingredients procured that day. 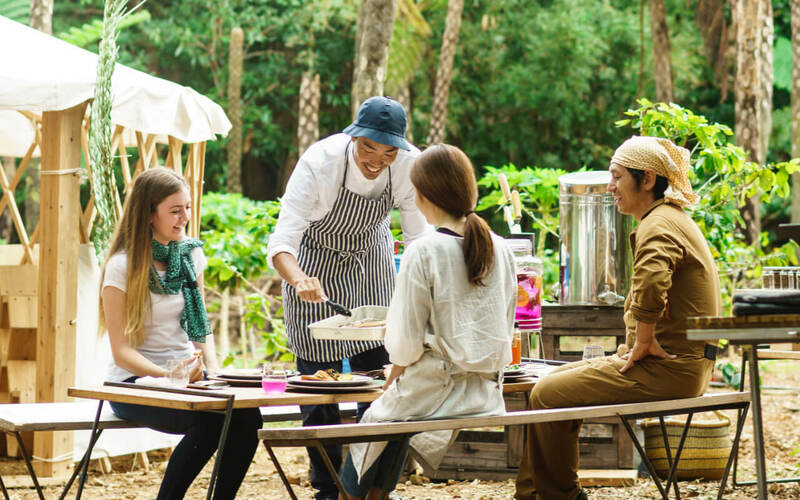 The fantastic picnic lunch in Yanbaru is prepared by the chef who takes great care in bringing out the natural tastes of the local ingredients. 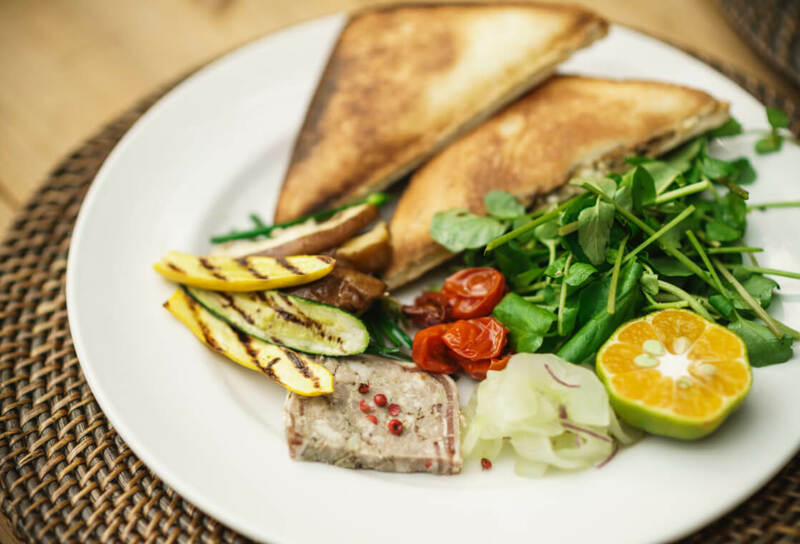 The meal consisted of a delicious hot sandwich with grilled Agu pork and whole milk cheese, accompanied by sautéed zucchini, tomato, and mushrooms. The roasted sweet potatoes were served with a drizzle of fresh honey, and there also was a cup of coffee brewed from the beans Christal herself had harvested and helped to roast. There was a delightful surprise from the Yanbaru Picnic Team, too. They prepared ‘blue herb water’, a tea with the natural colors extracted from the wildflowers of butterfly peas. Needless to say, the meal was wonderful and the care and thoughtfulness of the team made the day so perfect. There’s a word in the Okinawan language, “Nuchigusui”, which literally translates to “medicine for life”. This wisdom from ages past still remains in the healthy Okinawan foods made with plenty of vegetables and soy products, as they are truly Nuchigusui. 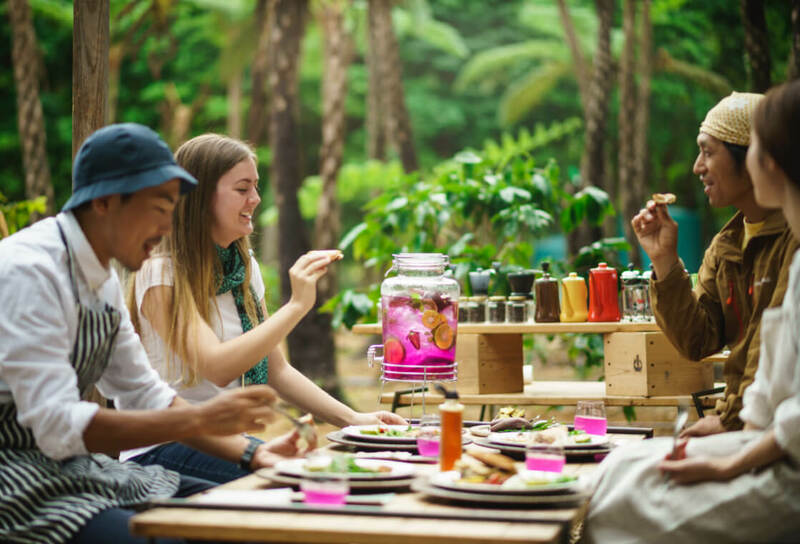 The older generations in Okinawa often say, “Thank you for the Nuchigusui,” when they enjoy a healthy and delicious meal, or when gazing upon beautiful scenery or any other experience that they feel have enriched their hearts and bodies. 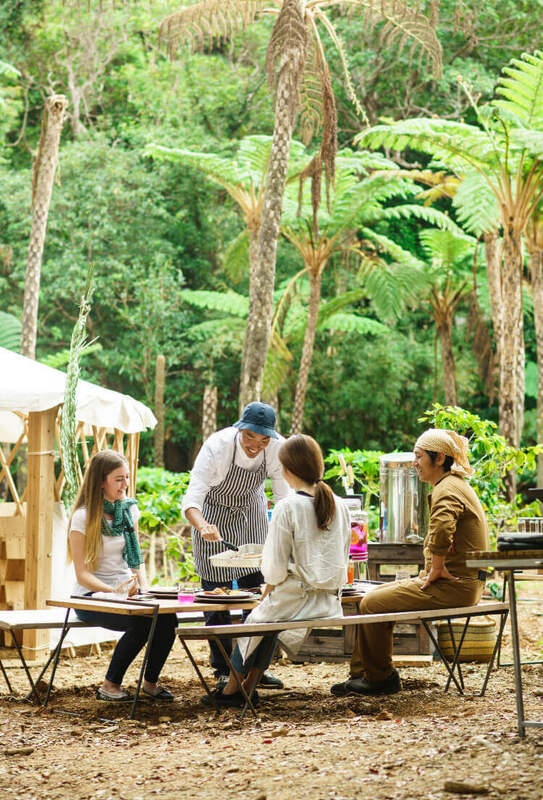 The harvesting and picnic experience in the forests of Nago is approximately 5 hours long, and is assisted by a “dream team” made up of farmers and master chefs who reside in Yanbaru and who truly cherish this region of spectacular nature with all their hearts. They offer their knowledge, expertise and love of Yanbaru for visitors to experience all that the area has to offer, and a chance to connect with the land with all the five senses. They’re happy to make suggestions and offer delightful ideas for grownups to enjoy the great outdoors, at the beach or in the forests. *The contents of harvesting experience tours vary according to season. Originally from Florida, USA, Christal came to Japan to study and attend university. She was influenced by the concepts in Japanese food culture and healthy lifestyle, and eventually relocated to Okinawa in 2016. She earned her master’s degree in Okinawa from the Graduate School of Agriculture at the University of the Ryukyus. She is the founder and operator of the English e-commerce site, Kenko Leaf, which specializes in introducing and selling specialty products of Okinawa to people around the world. The products available on Kenko Leaf are all carefully selected by Christal, who places importance on meeting the people that actually grow and/or make the products, and those she is proud to recommend. Fixed Net Fishing Program Every day, the fishermen in Yomitan unload a huge amount of various catch. Take a ride on a boat with these fishermen and experience fixed net fishing. If you’re lucky, you may see large whale sharks, manta rays, sea turtles and other marine life featured at Okinawa Churaumi Aquarium, too! Okinawa Diving Service Lagoon In Okinawa, people are working to protect the coral reefs endangered by global warming and other environmental threats, and to revive the seas with beautiful coral. 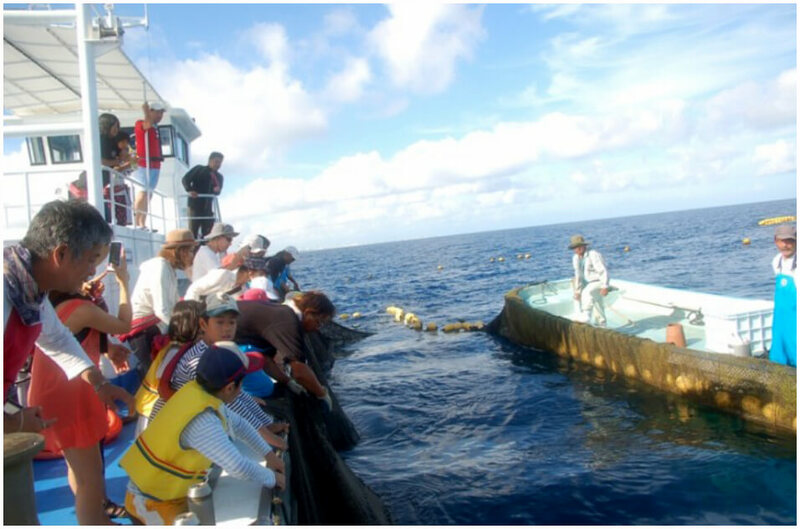 Take the opportunity on your visit to experience coral farming and planting in the Okinawan waters for the betterment of our planet. Sunrise Market Once a month, an urban-style market takes place in one of the small arcades just off the main strip of Kokusai Street in Naha. 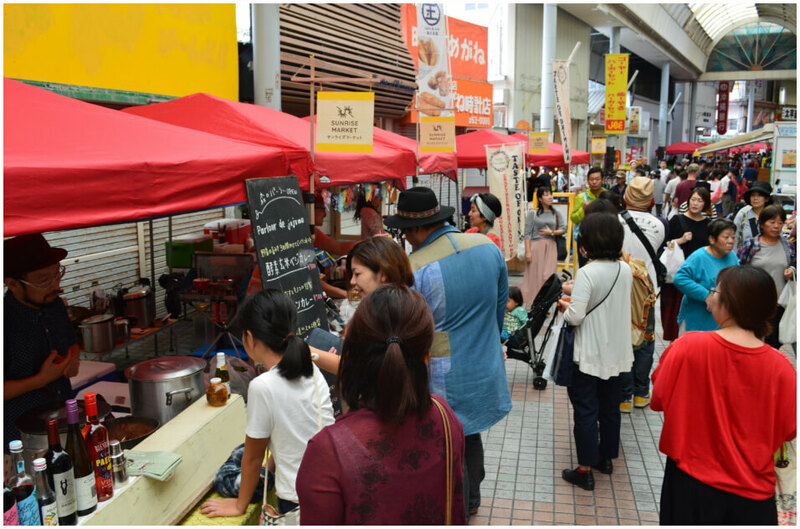 Here, you can discover new foods, meet the locals, and find keepsakes from Okinawa among the crafts available, sold by the actual artists. 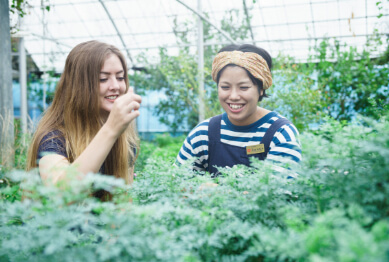 Chura Ichigo Nanjo Farm & Itoman Farm Taking advantage of a seasonal experience is another way to enjoy Okinawa. 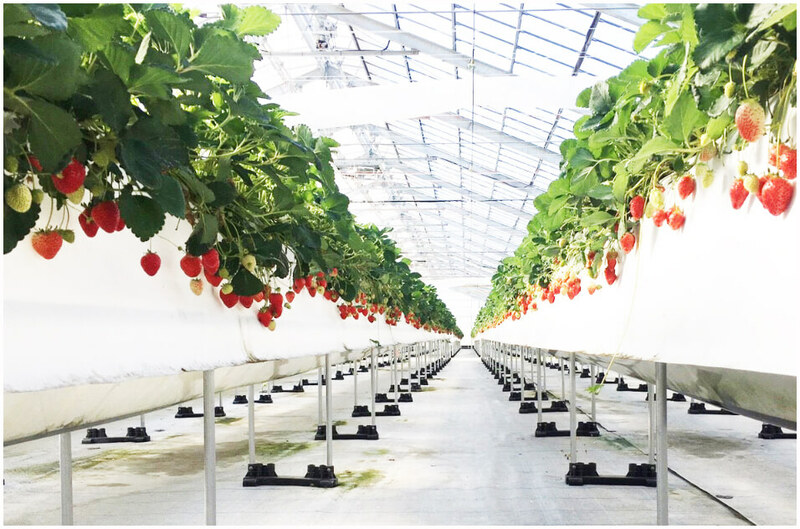 Feel the Okinawan spring with your five senses on a strawberry farm! You can pick and eat as many mineral-rich strawberries as you want, or opt to take them with you. 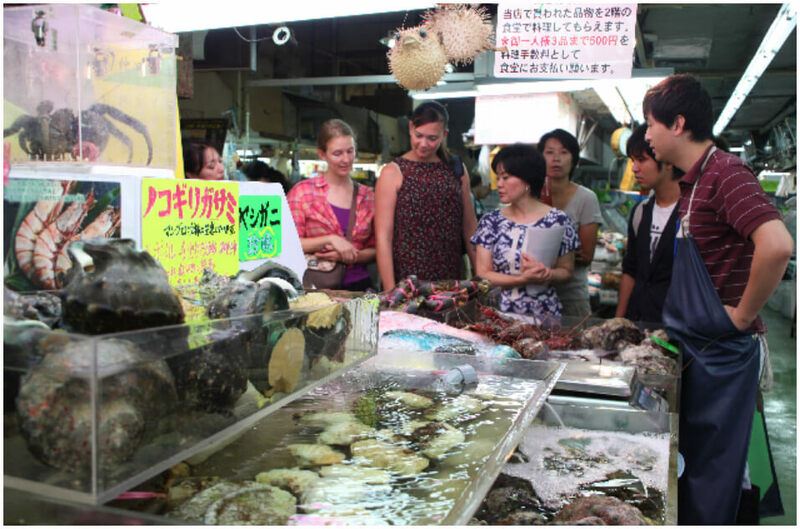 Yonner Food (Cooking class) Experience the local lifestyle as you stroll the Makishi Public Market with a popular food stylist known in various media. 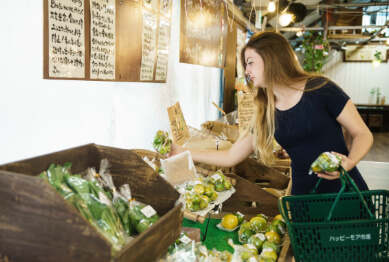 Pick up fresh local ingredients and cook up some great Ryukyuan cuisine and spend a day like an Okinawan.